Look--until you go looking for children’s books about non-white kids, without making their race a big deal, you don’t know how rare they are. Michael Dahl’s books show kids of color learning about the world as their favorite superheroes, without patting himself on the back. 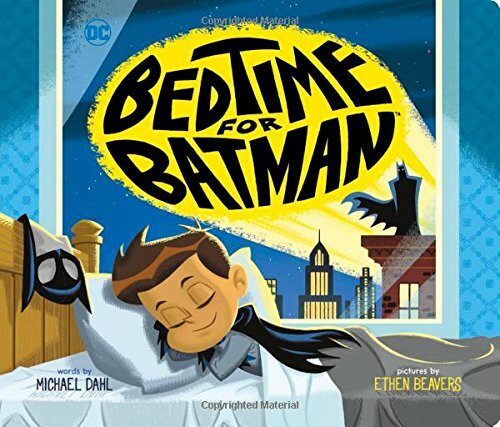 We were first introduced to Michael Dahl’s work through Bedtime for Batman. My mom-heart swelled at the familiar images of a tan little boy obsessed with Batman. The story takes the reader through a night time routine while following Batman’s heroic deeds: the little boy cleans up his toys while batman ‘cleans up’ the criminals; the boy visits the bathroom while Batman goes into the sewers after a bad guy. It was an instant house favorite. My toddler loved pointing out batman in all the pictures, and after we’d read it a couple of times, we moved on to pointing out some of the easter eggs (the little boy plays with a lizard toy while Batman fights Killer Croc, the clock hands look like the bat symbol, etc). Some kids books get real old real quick, but this one doesn’t. So when Good Morning Superman showed up on my Amazon Recommendations, it quickly jumped into my cart. Good Morning Superman follows the same formula as Bedtime for Batman, except this time, it’s Superman and in the morning! 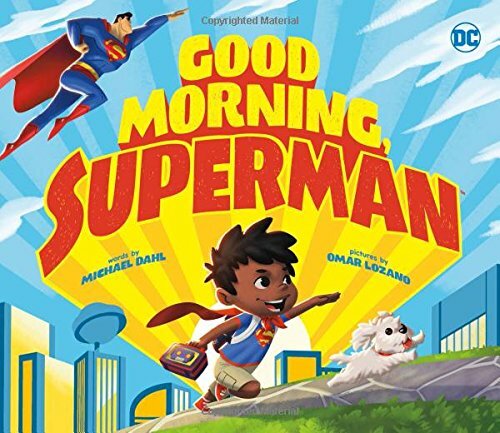 The little boy jumps out of bed while Superman leaps buildings and puts on his clothes while Superman ducks into a phonebooth to put on his uniform. And now we have the trifecta in Be a Star, Wonder Woman. This time, we’re following a little girl through a big day, her first day at school. 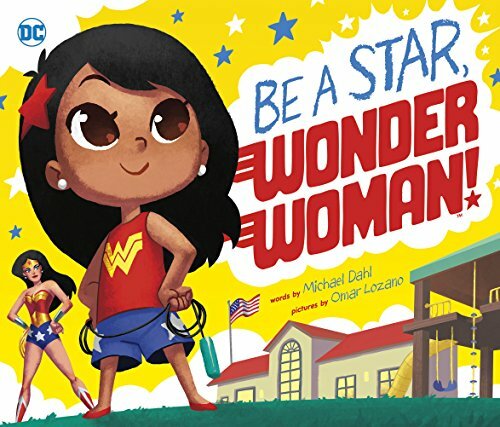 The little girl goes through challenges and successes that match those of her favorite super hero, Wonder Woman. While the little girl stops her classmates from arguing and conquers the challenges presented by playground equipment and writing, Wonder Woman battles dragons and villains with her friends. Bedtime for Batman gets more points for easter eggs (and therefore points for being a little more fun for grown-ups to read over and over and over) but Be A Star, Wonder Woman is a treasure of diversity and girl power. RATING: Just f*cking buy it. Start with your favorite superhero, but don’t be surprised if you end up with all three.